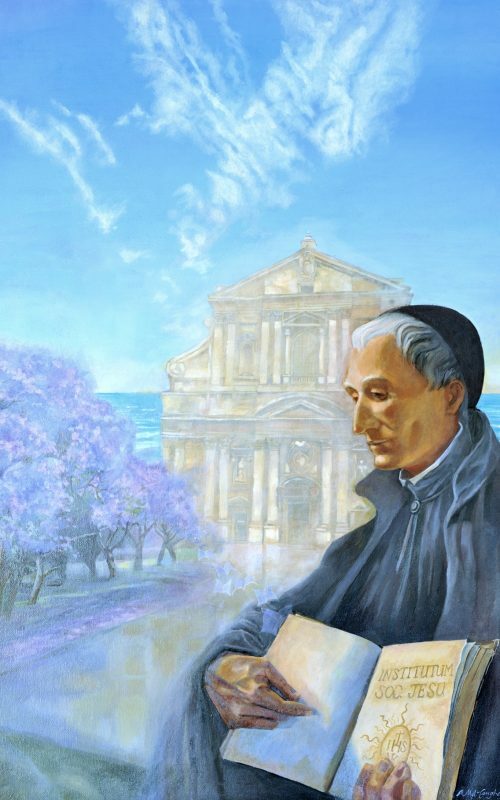 On the bicentenary of the death of St Joseph Pignatelli, Fr Nicolás, the Father-General of the Society of Jesus wrote a letter to the Society. This letter is available on the web site of the Curia General and I draw on it to write about the patron of our parish. The following are excerpts and my free rendering of the points of in the letter which I found particularly interesting. Joseph Pignatelli was born in Saragozza, in Spain, of a noble Aragonese family with Neapolitan antecedents. He entered the Society of Jesus or the Jesuits in 1753 at the age of fifteen. He wanted to become a missionary, but his delicate health made this impossible. He was ordained a priest in 1762 and his first assignment was as a teacher at a secondary school. It was there that he received the news that the Jesuits were being expelled from Spain on 3 April 1767. Eight years before they had been banished from Portugal and in 1762 from France. The Spanish Provincial showed great faith in Pignatelli and entrusted him with the direction of the forced voyage of the Jesuits to Italy and with organising assistance for his exiled brothers. Fr Nicolás writes of aspects of Pignatelli’s personality, religiously and humanly rich, which have enduring value. Pignatelli’s whole being and activity were centred on God. He maintained through all the turmoil a profound interior life characterised by a intense prayer-life. In everything he followed Christ poor and crucified. Everyone noticed the spiritual energy he transmitted. He was endowed with good sense and a lively intellectual sensitivity. While he did everything possible to provide for the material necessities of his brothers in exile, he also devoted his energy and resources to having a library built which would serve the spiritual and theological sciences as well as the humanities. Pignatelli preserved his love for the Society of Jesus and for the church. He did not give in to familial pressure to abandon his vocation before the difficulties facing the Jesuits, difficulties which climaxed with Clement XIV’s suppression of the Society. Pignatelli trusted in God’s Providence and sought to maintain the unity of the members of the Society who had been dispersed after the suppression. He sought to maintain a common life with his brothers, not giving in to individualism. While others sought to bring about a rebirth of a glorious Society of Jesus, Pignatelli’s intention was firm and clear. He sought to maintain a small society strictly bound to the Holy Father in accordance with St Ignatius’s vision. He rejected instinctively the temptations to power and success. In the midst of all this activity, and his necessary dealings with the powerful, Pignatelli did not forget or neglect those in need. He sought out the poor and was generous in almsgiving. He visited those in prison and hospital so frequently that he became known as the ‘father of the poor’. The life of Giuseppe Maria Pignatelli is an example of love received and given. He continued in his devotion to the Church and the Society; he was not to live to see the restoration of the Society of Jesus, dying three years before Pius VII’s bull, Sollicitudo omnium Ecclesiarum. The parish has a relic of Saint Joseph Pignatelli SJ which is brought out for veneration on the parish feast day. The feast of St Joseph Pignatelli is 14 November.